During the beta, you get FULL use of the site, but I do have a few caveats I want to throw out to you. There is a button right on your dashboard that will take you to a form to provide feedback. We want to know what issues you're having and how your overall experience is. 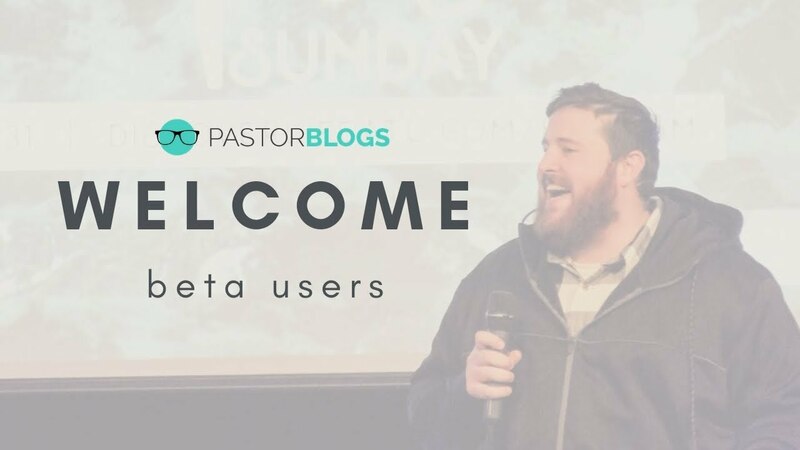 Beta is a pre-launch version of PastorBlogs.com. That means you're likely to encounter a bug or two. Again, we need feedback on those areas. Another part of beta is helping us shape the platform through your suggestions. We have added a number of tuts right in your dashboard to get you off to a great start, however I have not been able to complete a comprehensive library for you. I will make tuts as they are needed by you and when you submit feedback on things that need clarification.